We love this design - personalise the front of Santa's vintage truck by adding your company name within the area shown (maximum of three lines available). Alternatively, why not add your company logo? (Logo area is 65mm wide x 25mm deep). The greeting and personalisation you choose for the inside of your cards, will be printed directly onto the inside of the card and not on a paper insert. 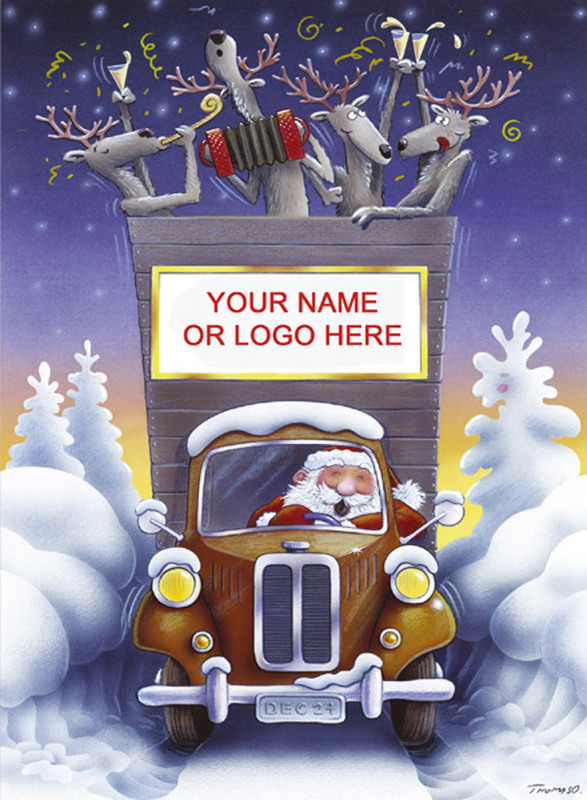 Personalise the front of Santa's van with your Company Name or your Logo. Logo Area: 68mm wide x 25mm deep. By purchasing the All Aboard For Christmas Christmas card 10p for each card you purchase will be Donated to the Charity of your choice from the Charities listed below.